Unique among house builders, our properties are designed by world renowned classical architect, Francis Terry. If you are looking for a quality new home with classical style, elegant proportions and exceptional attention to detail, look no further. 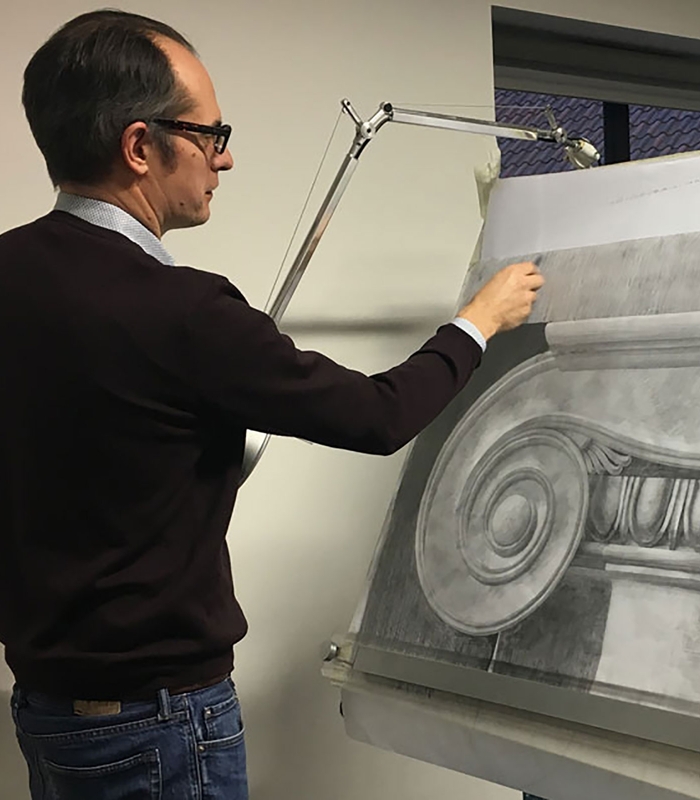 "WE'RE PROUD OF OUR UNIQUE PARTNERSHIP WITH HALSBURY HOMES, WHICH ENABLES BEAUTIFUL CLASSICAL ARCHITECTURAL DESIGN TO BE AVAILABLE ON A LARGER SCALE. IN OUR PARTNERSHIP WE SHARE A COMMON VISION, A PASSION FOR EXQUISITE DETAILING, CONSIDERED PROPORTIONS AND A LOVE OF EXCELLENT CRAFTSMANSHIP." 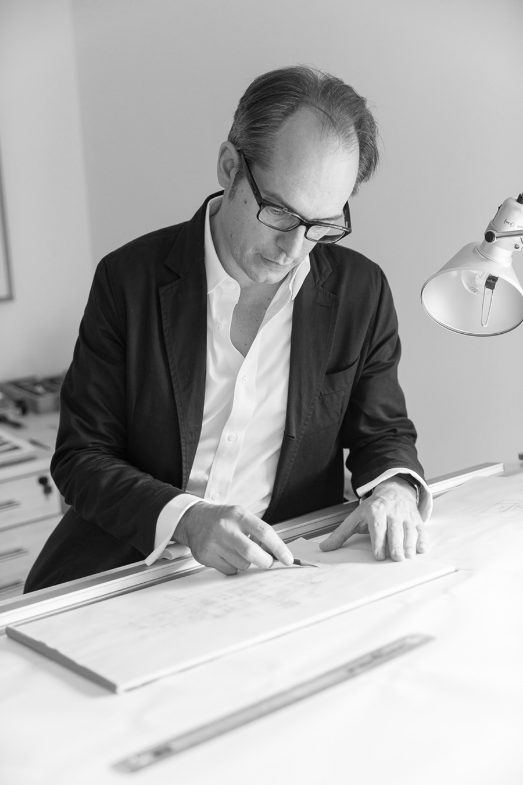 Francis is part of a new generation of classical architects who have recently gained a reputation for designing high quality works of architecture. 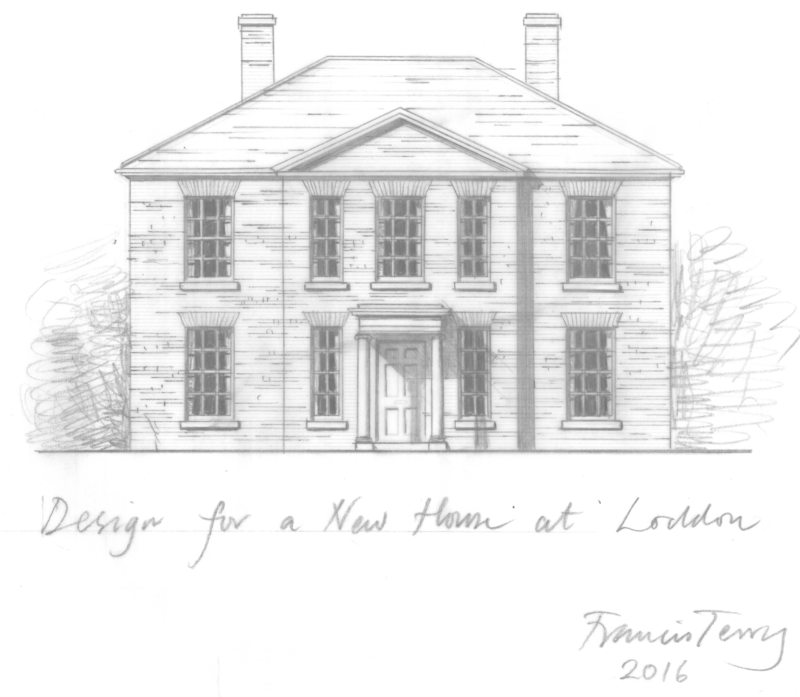 Francis’ pursuit of architecture grew out of his passion for drawing and his love of historic buildings. He studied architecture at Cambridge University qualifying in 1994.